The Association of Anaesthetists and the British Association of Day Surgery have released its latest guideline for day‐case surgery. The experts have produced a consensus document that has been endorsed by the Association of Paediatric Anaesthetists of Great Britain and Ireland (APAGBI) and the Royal College of Anaesthetists (RCoA). It has been published in the Journal Anaesthesia. The definition of day surgery in Great Britain and Ireland is clear; the patient is admitted and discharged on the same day, with day surgery as the intended management. The term ‘23‐h stay’ should be avoided; this is used in the United States healthcare system, but in the UK is counted as inpatient care and should not be confused with day surgery. Since the previous guideline was published in 2011, the complexity of procedures continues to increase, with a wider range of patients now considered suitable for day surgery. 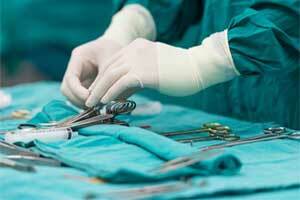 Despite these advances, the overall rates of day surgery remain variable across the UK. The target that 75% of elective surgery should be performed as day cases remains in place, but minimally invasive surgery is now well established, allowing more procedures to be performed as day surgery and even greater rates should be possible. There was a major effort to promote day surgery at the start of the millennium and recent drives to reduce length of stay and improve the quality of postoperative recovery have ensured that day surgery principles are fundamental to modern patient care. Shortened hospital stay and earlier mobilisation also reduces the risk of hospital‐acquired infections and venous thromboembolism. Preparation may be undertaken in a variety of settings. In order to achieve the three aims, best practice is for it to be undertaken by expert day surgery assessment staff within a self‐contained day surgery facility. This allows patients and their relatives the opportunity to familiarise themselves with the environment and to meet staff who will provide their peri‐operative care and who are well placed to educate the patient regarding the day surgery pathway. However, other settings such as primary care or secure (general data protection regulation compliant) online assessments may be appropriate for some patients. Whichever setting is used, the process should be carried out by a member of the multidisciplinary team trained in pre‐anaesthetic assessment for day surgery. The process should follow a clear protocol, in agreement with the team providing anaesthesia, surgery and nursing care. It should identify any problems requiring management or optimisation before surgery and follow national or locally agreed guidelines. Consultant‐led and nurse‐run clinics have proved very successful. One‐stop clinics, where pre‐anaesthetic preparation occurs on the same day as the decision for surgery, offer significant advantages to both patients (by avoiding an additional visit to hospital) and the hospital through ensuring that patients are prepared for surgery as early as possible in their care pathway, thereby allowing maximum time for optimisation, if required. Screening questionnaires, in conjunction with agreed protocols, can offer guidance on appropriate pre‐operative investigations. Although the National Institute for Health and Care Excellence (NICE) guidance on pre‐operative investigations is widely used, one study showed no difference in the outcomes of day surgery patients when all pre‐operative investigations were omitted. However, screening for hypertension, anaemia and an initial risk assessment for venous thromboembolism should be undertaken in order to guide management according to local protocols. Most patients can be assessed and prepared for surgery in nurse‐run pre‐anaesthetic clinics. Consultant anaesthetic pre‐operative preparation clinics improve efficiency by enabling early review of the notes only in complex cases, ensuring appropriate investigations are performed and that patients are referred for a specialist opinion, if necessary. Patients presenting with acute conditions requiring urgent surgery can be efficiently and effectively treated as day cases via a semi‐elective pathway. After an initial assessment, many patients can be discharged home and return for surgery at an appropriate time, either on a day‐case list or as a scheduled patient on an operating list, whereas others can be immediately transferred to the day surgery service. This reduces the likelihood of repeated postponement of surgery due to prioritisation of other cases. A robust day surgery process is key to the success of this service. Some of the procedures successfully managed in this manner are shown in Table. In a day care surgery expertise of surgeon is of paramount importance. All necessary clinical assessment has to be completed before discharging the patients . Contact details of responsible persons ( assistant doctor or nurse) should be available with the patient in event of any emergency.patient should preferably give daily medical report to medical team concerned.